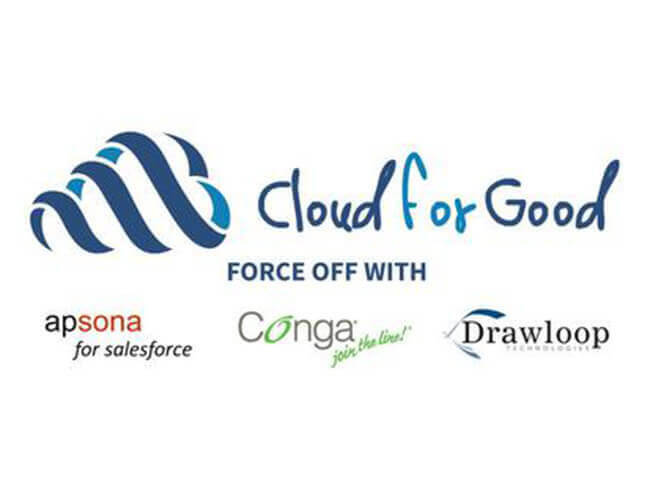 On August 13, Cloud for Good hosted an online webinar, Force Off- Mail Merge Applications for Salesforce featuring Apsona, Conga and Drawloop. All three application providers presented their online mail merge tools to a large group of attendees. Each presenter was given twelve minutes to provide an overview of the company represented and a demonstration of the product. The remaining 15 minutes of the presentation allowed the presenters to answer questions from those in attendance. Many great questions were asked during the webinar, but the most frequently asked question was around pricing. Below is a breakdown of the pricing offered to nonprofit organizations by each of the providers in 2015. Apsona offers a Mail Merge application for Salesforce to two (2) users for $195.00 annually. For additional information email sales@apsona.com or visit their website. Apsona can be found on the AppExchange. Conga offers their Mail Merge application for $120.00 per user per year with a minimum of 5 users. A nonprofit organization would pay $600.00 annually for a yearly subscription. For additional information please call 303-465-1616 or visit their website. Conga can be found on the AppExchange. Drawloop offers their Mail Merge application for an annual fee of $700.00. This includes access by 5 users each year and allows an organization 50,000 automated runs each year. For additional information please email sales@drawloop.com or visit their website. Drawloop can be found on the AppExchange. A big THANK YOU to Apsona, Conga and Drawloop for presenting their solutions. If you were unable to attend, don’t fret! You can watch the recorded webinar below. Please continue checking our webinar schedule for upcoming demonstrations here.